Williams was at the time speaking at the closing of the High Courtâs Criminal Assizes, on Friday, July 29. He said that there should be some other form of punishment for prisoners. âThey are just sitting behind the walls…. They should be put to clean walls, schools, so people can see that they are doing something,â Williams opined. He said there is also a great concern about the number of young people being sentenced by the Magistrateâs Court. 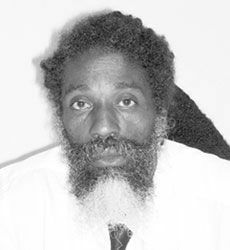 Justice Frederick Bruce-Lyle endorsed Williamsâ comments and said that prisoners should be made to do work. âThey can cut down trees, clean roadsides; itâs all part of the rehabilitation process…They lounge all day, wasting valuable resource. Use them to do work!â Bruce-Lyle urged. He said he will be making a suggestion to the authorities concerning the matter and thanked Williams for his bringing the issue to the fore front.